You Are Here:Home / Architects/Designers / Biophilia – What Does It Really Mean? 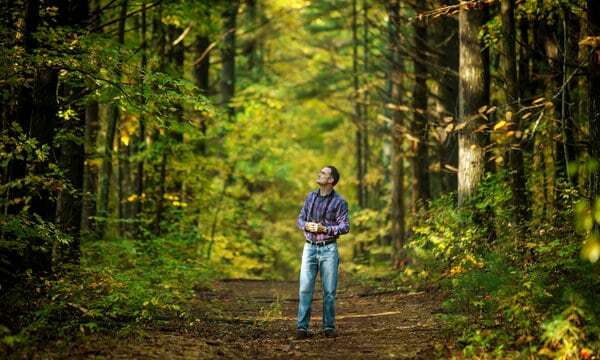 Take a walk through nature and observe how you feel. Most of the time, you will have a refreshed feeling and positive outlook on life immediately after being submerged in The Great Outdoors. Could it be due to the activities of walking, hiking, and climbing that being in nature requires? Maybe… OR simply exploring and connecting with nature gives us a dose of satisfaction and a subconscious connection to our innate psychological needs. Think back to the caveman days when our daily routine consisted of hunting for food and gathering fruits and vegetables. The simple times. Yes, it is awesome that we can now walk into a Whole Foods and buy a juicy steak without going through the trouble of stalking the animal, killing it, and preparing the meat. BUT, we did not get here overnight. It has taken thousands of years for humans to get where we are now, however parts of us still yearn for the simplistic lifestyle that hunting and gathering provided. In the book Biophilia by Edward Wilson, Wilson describes this yearning as “the urge to affiliate with other forms of life.” He continues to explain that the theory of Biophilia describes “the connections that human beings subconsciously seek with the rest of life.” If we take a look at our current state today, it’s clear that we are not satisfying this need. We live in a time where Americans spend over 10 hours a day on a device consuming media… 10 hours A DAY! This lifestyle has forced us to eat convenient foods which are most often processed, connect less with others, and spend more time indoors and away from our natural habitat. So the question is: How do we satisfy this organic need to connect with nature, while existing in an artificial time? The Design and Architecture community have been hard at work to answer this tough question and the answer may be more simple than we think: simply bring aspects of the natural environment indoors to surround our everyday lives. Biophilic Design is just that; architecture and design that bring the natural elements into a home, office, or collaborative space. This design often presents itself as water features, wood accents, plants, and decor that resembles nature. 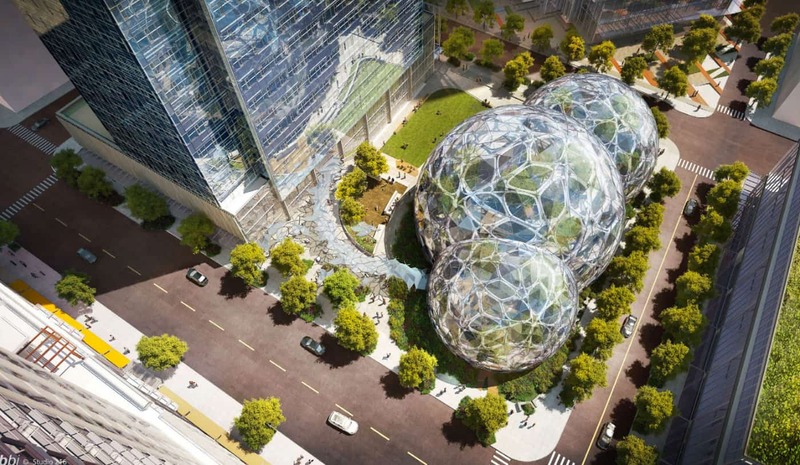 The golden standard for Biophilic Design can be seen at The Spheres at the Amazon headquarters in Seattle, WA. The Spheres are plant-filled glass balls that contradict the surrounding urban environment by hosting a direct link to nature for employees and the public to enjoy. The Spheres include over 40,000 different plant species and a 4-story plant wall. 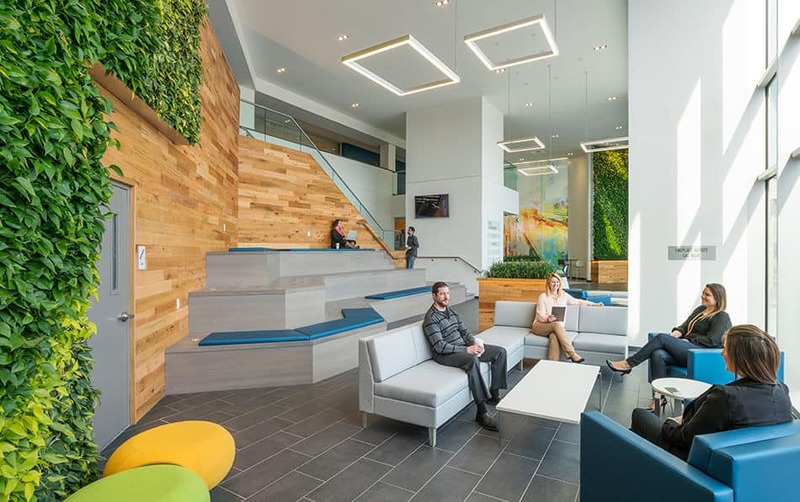 This is a great example of a Fortune 500 company that understands the need for Biophilic Design and the effects on the human condition. After all, it seems to be working. I mean… who doesn’t use Amazon these days?! The employees must be doing something right! I know what you are thinking: how can I create my own Sphere without a budget of 4 billion dollars? It is easier than you think, start small! Bring personal plants into work to fill up empty spaces in the room, your desk, or even on the walls with a plant wall. Consult with a professional interior plant design company to figure out where to start. The costs are a small investment compared to the benefits you and your company will reap. At the end of the day the best kept secret in design is, bring the outside-in, in a natural way. You will not be disappointed.